Dr. Denise L. Folks founded GCWM in November 1999 for the purpose of ministering to women of all ages. The ministry operates under the auspices of The Greater Church of the Risen Savior, where she has been pastor alongside her husband Bishop Victor M. Folks since 1998. They are the founders of said church, and this is the church's 20th anniversary! Dr. Denise L. Folks is a graduate of Coppin State University (B.S. and M.Ed.) and a graduate of Family Bible Seminary and Sarasota University (D. Min. Ph.D. - Pastoral Clinical Counseling). 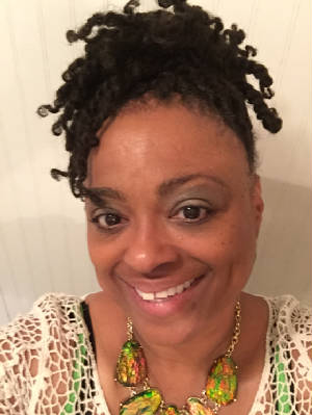 She is the founder of Positive Youth Expressions, Inc. Educational Institute, which was founded in 1993 in the state of Maryland. The organization governs Little Folks Childcare Center and The Greater Youth Christian Academy. Dr. Folks has written and published several books, short stories, articles, and conference materials. Some writings include "From Darkness to Light - A Living Testimony of Poetry" (1997), "Oh That I Had Wings Like a Dove - Poems Touching the Life of a Torn Heart" (2001), a short story about women's rights titled "Josephine Sarah Thompson - Who Am I" (2010), and "I'm Not Coming to Work Today, I Am Going To Die" (2010). Dr. Folks just completed and released "Back A Sister Up - I am Commanded to Prophesy," a book of poetry and prophesy, in September 2017. Dr. Folks is a strong advocate for children and youth. She is available to conduct workshops, seminars or speak on the topic, 'I am My Parent's Child.' She envisions traveling extensively as a speaker and writing more books, short stories, poems, and articles. You may request her as a speaker or poet by calling us. Dr. Denise L. Folks began her journey working with girls in 1981 as a camp counselor with the Family and Children Services in Washington D.C. This later led her to working with Girl Scouts of Central Maryland in 1986 as a Membership Executive where she recruited girls and adult leaders, conducted workshops, trained leaders and planned outings for girls in public housing developments of Baltimore City. In 1999, Dr. Folks began conducting workshops for girls who were transitioning out of group homes. Every month, she would have breakfast or lunch with these girls and dialogue with them about what they had gone through and encouraged them to establish goals and objectives for their lives. It was through those conversations that she realized that the women caring for these girls also had a lot of their own issues. This prompted her to expanding her mission to women of all age groups. In fact, that is really what our organization is about: serving all of the seasons of a woman. Some women are in the spring of their lives, the summer of lives, the autumn of their lives, or the winter of their lives. We address all seasons and work hard to get them successfully to the next season. We realized that if we want young girls to do well, we have to address the women who are guiding them as well. The most important thing to understand is that any woman can come to us to address all their concerns or needs. We work with spiritual, emotional, physical, social, mental, and nutritional issues, focusing on the full array of concerns or needs that women have. Information is also shared in Dr. Folks monthly issue of 'The Metamorphosis'. Call or email to receive your monthly issue.